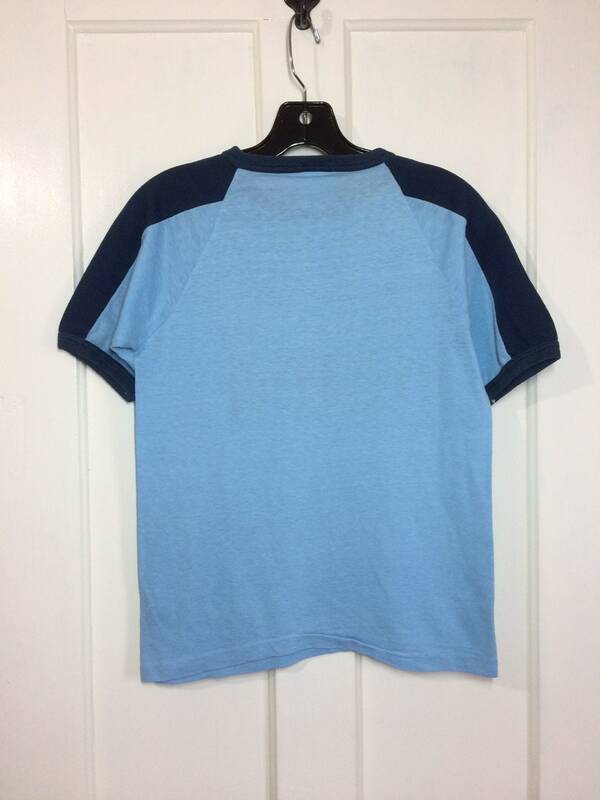 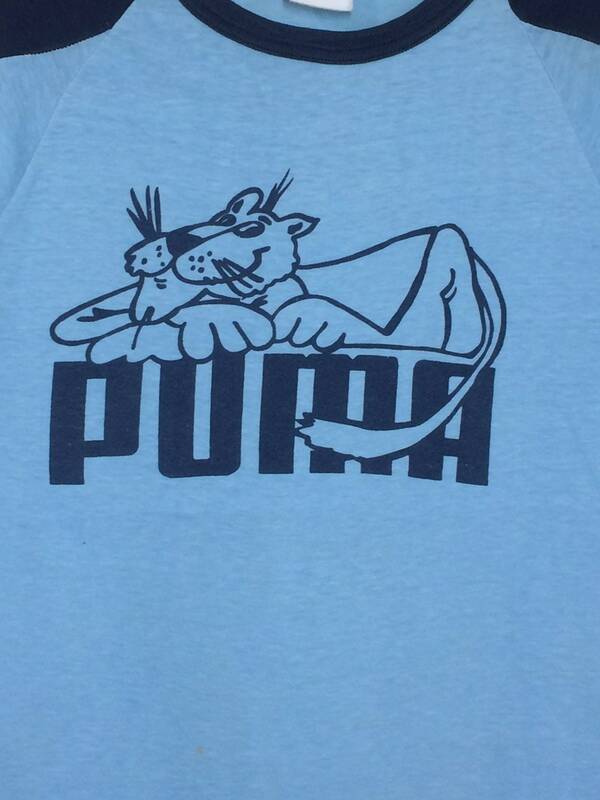 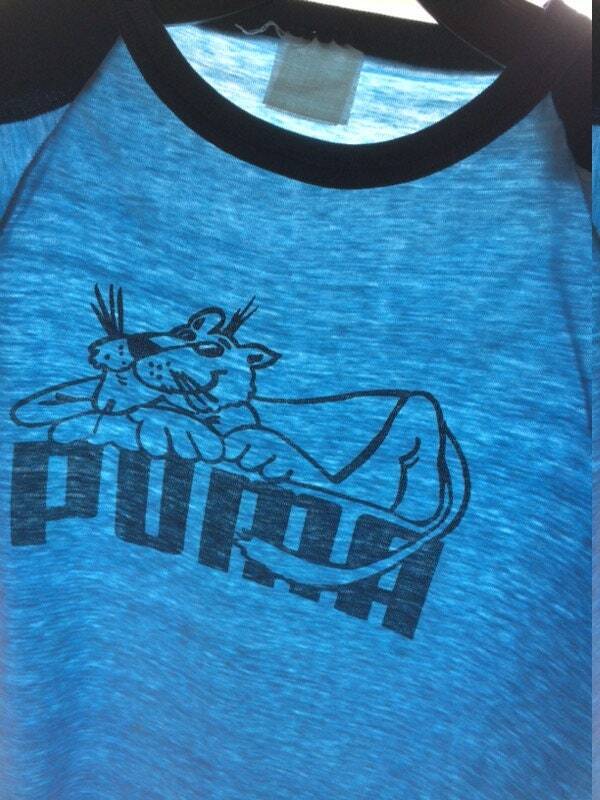 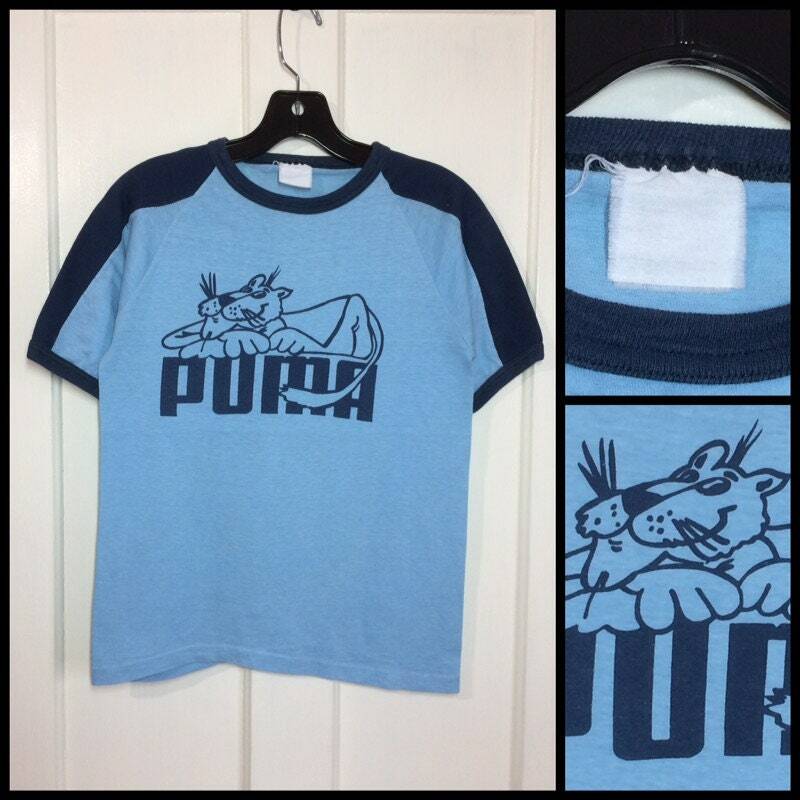 Here's a Puma t-shirt from the 1970's. 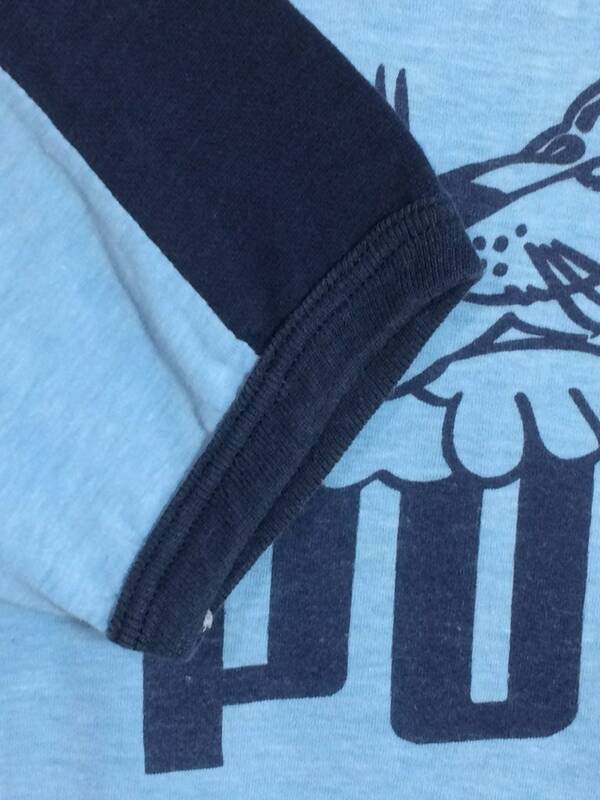 It feels like soft 50% cotton, 50% polyester. 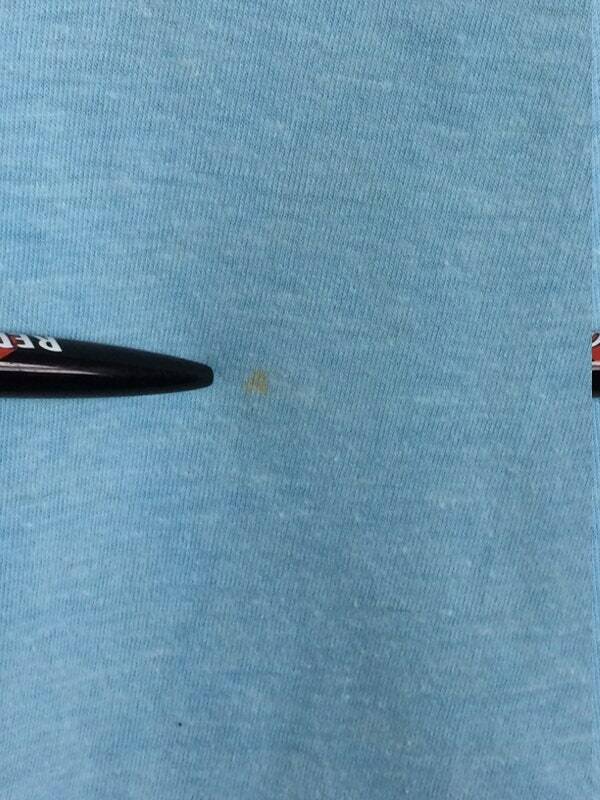 There's a small spot toward the bottom in front. 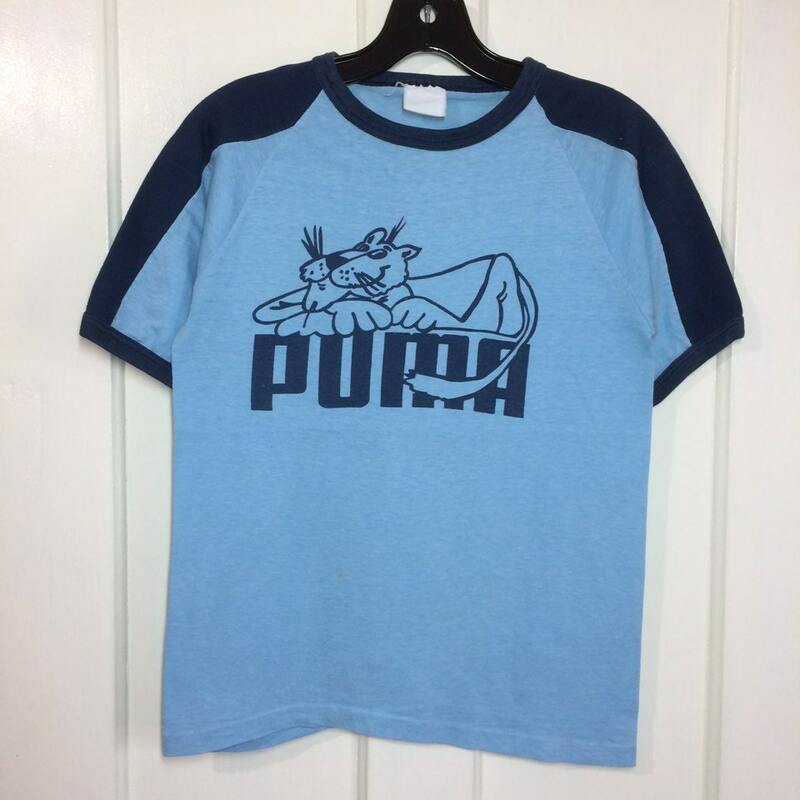 Otherwise it's in excellent, very used vintage condition.